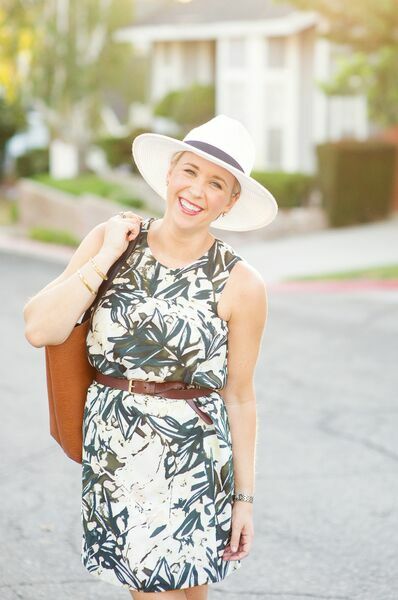 I always preach versatility and this adorable shift dress was a perfect example of being able to tweak one dress and create countless looks. I have topped my look here with a panama hat and woven flats and cinched the waist with a leather belt. You could also let out the belt and add strappy heels and a blazer. You could throw on Converse and a denim jacket and be ultra casual. I love the options!